This trimmed-down wallet has room for all you need without the bulk that you don't. 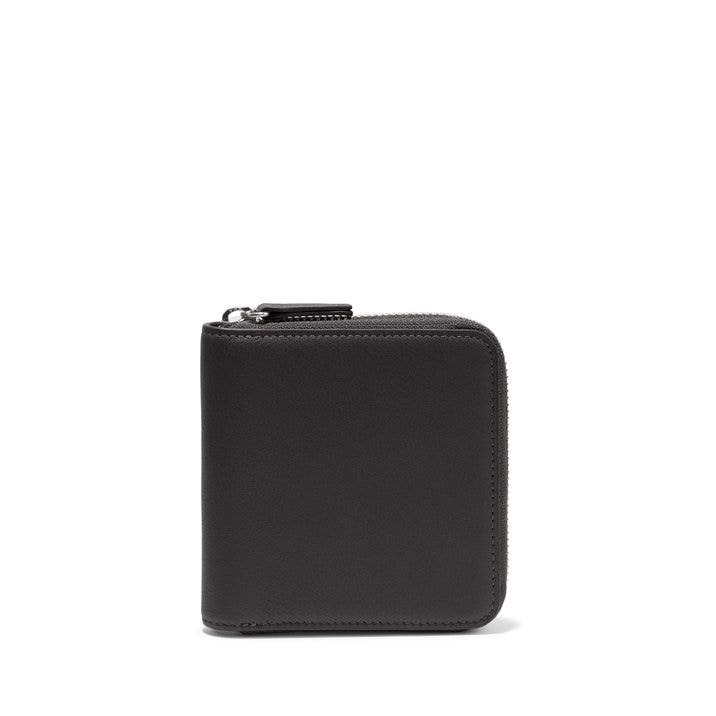 Made with a modern square-shaped silhouette, bifold construction, and snap coin pocket, the Small Zippered Wallet is the ideal size to toss in a bag or brief case. Now all you have to decide is which cards to put in it. The leather is great quality and the monogram is cute, but my cards are SO difficult to get out of the slots. They're way too tight. My grandmother loved her wallet. Small good quality, and cute!! I got this wallet for my daughter for Christmas, She loves it! I bought a wallet for my wife as a Christmas gift. She loves it! Great premium leather quality, color and fits her needs. Excellent company. Good quality and perfect size Wallet. Plenty of compartments and nice small size. The monogram looked even better than I expected and delivery was super fast. Beautiful quality leather wallet. Color as advertised. Tasteful monogram. I would recommend this product. I love these wallets! This is my third. Combine them with keychain tassel and always get compliments. I have one in orange which, sadly, no longer seems available. Tried to clean but, COLOR CAME OFF! This is the cutest little wallet that fits very comfortably in one of the pockets of my crossbody purse.